The final installment of the 7M7D project takes a look at the Burke Museum, which can be found on the UW campus. 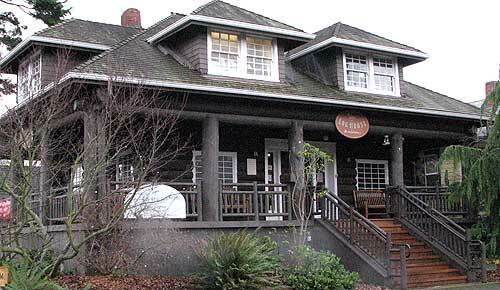 While the collection was established in the 1880s by students of the Territorial University of Washington, the museum gained its name and final home in 1962 after a bequest in honor of Thomas Burke by his wife Caroline. 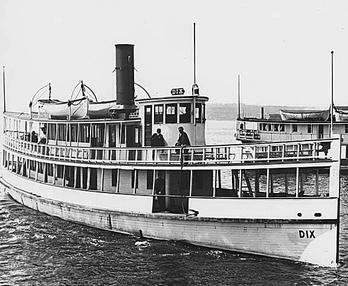 As a natural history, the Burke explores the history of Washington State from the perspective of the landscape, biology, and ethnographic material. Things like ichthyology, paleontology, mammalogy, botany, and archeology are just a few areas covered by this richly diverse museum. 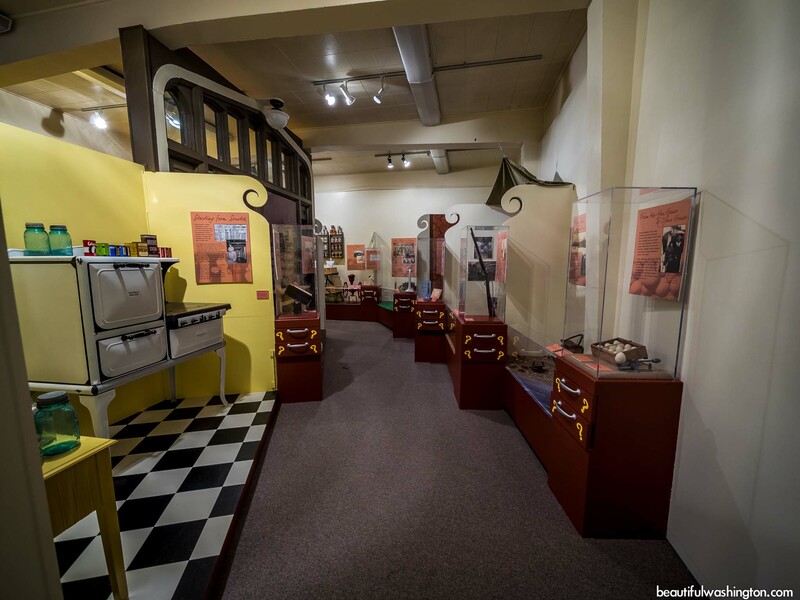 In the permanent galleries, visitors can explore the “Life and Times of Washington State”. I started seemingly at the end of this gallery and worked my way backward in time. The benefit of this type of exhibit design is that it doesn’t much matter with the end you start with. My journey began with a discussion of evolution and biodiversity. The biodiversity displays were thorough in their scientific discussion while maintaining a fun and engaging appearance. Complex scientific concepts are notoriously difficult to tackle in a museum setting, but the Burke handles it with apparent ease. 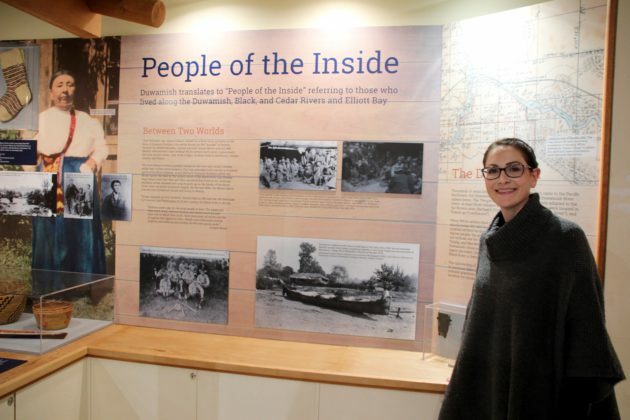 The use of interactive displays and QR codes help engage visitors in the material. Another area of history this museum handles well is the cohabitation of early humans and animals. I believe that too often early humans are displayed out of context with their natural surroundings. The placement and discussion of Clovis points, as well as other worked stone, alongside fossils of mammoths maintains the proximity in space and time that these entities existed. 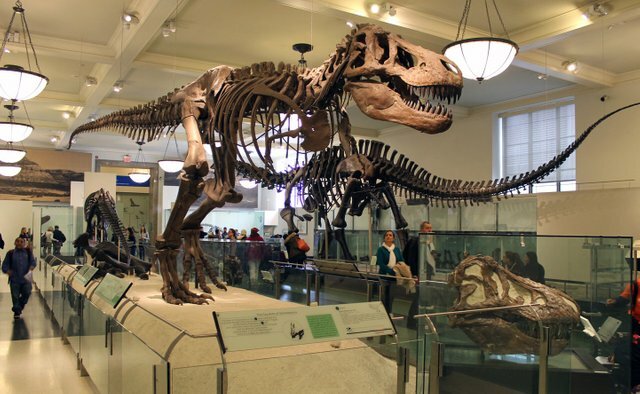 It isn’t a natural history museum without dinosaurs. These are the flashy showstoppers of the museum industry. 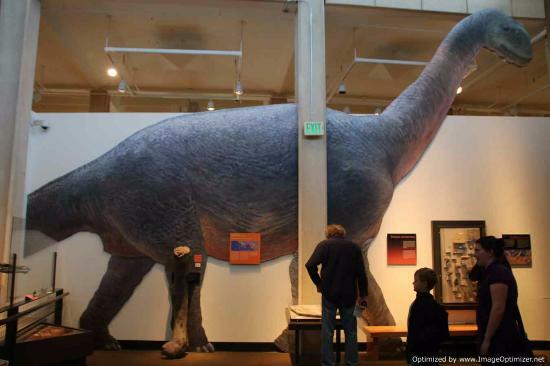 The Burke uses dynamic posing and beautiful backdrops to bring their fossils to life. Visitors are encouraged to interact with these fossils by comparing their footprint to dinosaurs and measuring their height against a leg bone. The Triceratops skull drew my attention as an example of how to discuss the actual scarcity of fossilized dinosaurs. The areas of reconstruction are intentionally obvious, while unobtrusive, and the original fossilized material is far less than complete. I always appreciate when museums focus on being clear about what they have and where the research has filled in the gaps. It is vital for the demystification of the sciences for the public. In the stairwell, there is a selection of prints from the collection of Dr. Simon Ottenberg. These photographs of Coast Salish native art are beautiful and feature these pieces in natural settings. I was pleased to see the museum being aware of its space and utilizing the stairwell to showcase pieces that wouldn’t necessarily fit in other galleries. Downstairs is the “Pacific Voices” gallery, which looks at the ethnic and cultural diversity of Washington and the Pacific. The cases in this gallery look at specific elements of culture, rather than try to encapsulate a group in such a small space. Things like language, marriage, art, and religious celebrations are just a few such topics. Most are accompanied by pronunciation and contextual guides for better appreciation of the material. There is a wonderful diversity of people represented and the vignettes make great use of color and texture to define their space. The end of my 7M7D project coincided with the opening of the “Imagine That: Surprising Stories and Amazing Objects from the Burke Museum” exhibit. This exhibit poses a vast array of questions pertaining to the role of museums in our society and how they function. Questions like who owns these objects, why do we keep objects, and where do they come from? Many of these questions are ones museum professionals continually have to address in their work. A quote on display here is of particular note “Museums are like icebergs: there is always far more going on beyond what you can see at the surface” Neil McGregor, Director at the British Museum. This concept of the mysterious museum is precisely what the Burke is addressing in their exhibit. They clearly illustrate they work they do and why it matters. That is something truly ambitious. Set within the beautiful Volunteer Park, the Seattle Asian Art Museum is absolutely wonderful. There, I said it. 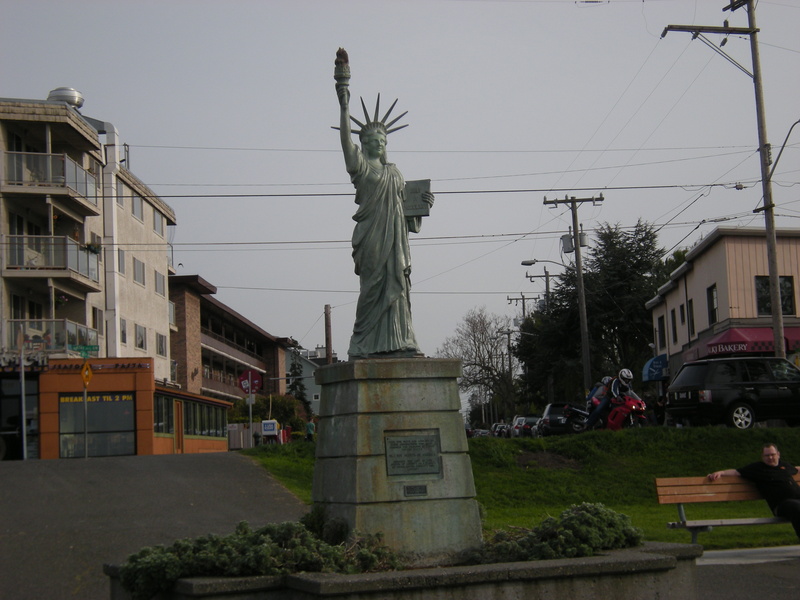 I was lucky enough to visit on an equally wonderful, sunny day in Seattle which only added to my afternoon. As a local, I was surprised to find that I had never been to Volunteer Park before, let alone the SAAM. I chose a great day for my first trip. Sunshine, flowers, and people strolling through the park on a Wednesday afternoon. What a great day! And let me tell you, it got better. Prepare yourself, I’m about to faun over a museum. SAAM currently resides in what was once the home of the entirety of the Seattle Art Museum, a 1933 Art Moderne beauty. 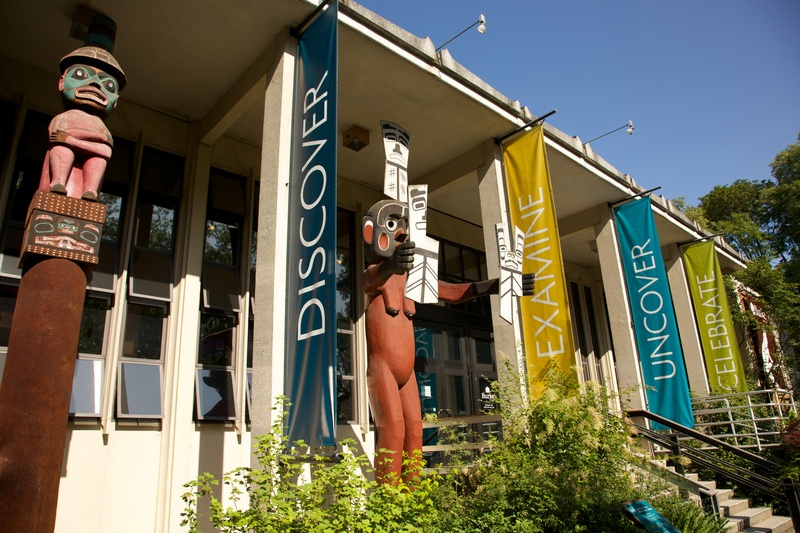 SAM moved downtown in 1991 and the original building reopened as the Seattle Asian Art Museum in 1994. The two share management and resources, as well as offering admission to both venues for the price of one (if visited within one week). The Art Moderne building alone would be the reason for me to love this museum, but it has so much more to offer than a pretty face. 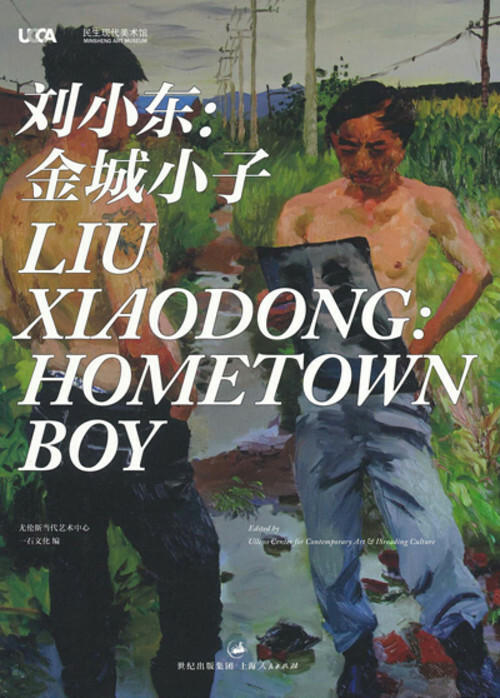 I began my visit in a gallery on Liu Xiaodong, “A Hometown Boy”, which featured paintings, sketches, and a documentary by the artist. It seeks to capture the life in a typical Chinese town, the artists home, with a focus on the mundane. He depicts real people, in their homes, living their lives. It was a thought-provoking examination of the role of art in society. Is it merely aesthetic or does it serve to tell a story? The video, in particular, was interesting as it showed the artist interacting with the same people shown in his paintings. The next gallery in this long white hallway was rather small and only contained one piece. The museum was featuring a new acquisition, AI Weiwei’s “Colored Vases”. The large traditional earthenware pots were dipped in industrial paint and left to drip dry. They played with the idea of old versus new and authenticity. One thing I noticed immediately in this space was the excellent use of lighting, something I later came to realize was a common theme in this museum. From there I moved into a realm more suited to me than that of contemporary art, historical art. The galleries in this area focused on China from the Neolithic to the Qing. I am moderately well versed in themes present in Chinese art, so the pieces were relatively familiar. What surprised me most was the display techniques utilized by the museum staff. The ceramics mounts were quite simply beautiful. 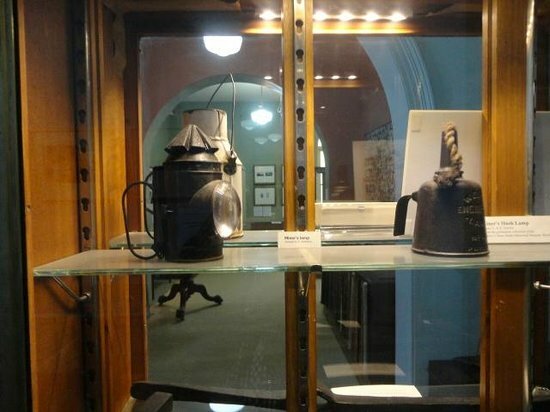 The use of lighting and color were spot on and in many cases, the visitor could view the cases from all sides. One thing I did notice a few times was an odd emptiness to some wall mounted cases. They were quite large but featured low-profile objects. Perhaps they once housed larger/taller artifacts? The last gallery on this side of the museum was another contemporary exhibit, this time on Wan Qingli’s ink paintings. I loved his use of a traditional Chinese art form to depict modern subjects, like square watermelons and urinals. The Foyer in the center of the museum offers visitors a place to sit and rest. It also houses some truly lovely stone reliefs, most from Buddhist, Taoist, and Jainist temples. I was eager to see the rest of the galleries, but I would have liked to stay and appreciate these reliefs in more depth. The other half of the building is designed in contrast to the previous with dimmer lighting and dark wall colors. These galleries focused primarily on Seattle collectors of Asian Art, many of whom contributed works to the museum. Here you have more diversity of origin. Japanese, Chinese, and Korean art of a variety of periods as well as photographs and stories about the families who collected it. 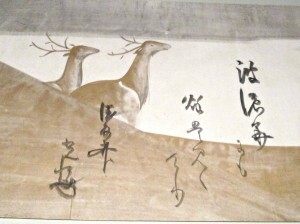 One piece of note was the “Poem Scroll with Deer”. Parts of this massive scroll are owned by several museums, only two of which are SAAM and SAM, but you can view it in its entirety through an interactive display. Shown in either English or Japanese, the display zooms in and translates sections of the poem as directed by the user. There is also a segment discussing the year-long conservation project undertaken on this piece. It was a delightful display and added greatly to the enjoyment of the scroll. One other gallery with a wonderful interactive display was “Dr. Richard Fuller & Beyond: Chinese Art”, which showed visitors the online catalog of Chinese Painting and Calligraphy. I was completely unaware of this resource prior to visiting the museum and I am so excited that it is accessible anywhere! 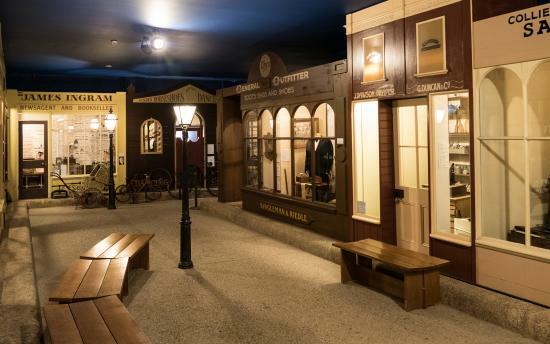 They have a display in the gallery which accesses the website for visitors to explore, but they also include information for viewing it at home. Sackville Street’s newest gallery, Lazinc, is marking its launch with a multidisciplinary solo exhibition from the French street artist JR.
JR’s work and his often collaborative approach, continues to go from strength to strength, and continues to reach new audiences. He has recently made headlines with his work on the Mexico border and then again when his work work best documentary prize at Cannes 2017 for a film with the legendary Agnes Varda. The exhibition demonstrates the full-cycle of JR’s installation practice – from his works’ inception to its outdoor execution, and it is particularly interesting to understand how process and inspiration come together in his famous work – he is not the first person to bring art out of the gallery but his is certainly one of the most effective, one of the most iconic. An excellent excuse to get out and about on a miserable January weekend, anyone interested will have no trouble finding the gallery as JR is reproducing his GIANTS installation on the exterior of the gallery, standing out from the nearby hedge-funds and John Nash architecture. Lazinc brings together contemporary art specialist, Steve Lazarides, founder of Lazarides, and eminent art collector and notable art collector, Wissam Al Mana. Building on the existing Lazarides business, Lazinc adds a flagship gallery in Mayfair to showcase its roster of acclaimed artists including: JR, Invader, Todd James, Mark Jenkins and Vhils promoting uninhabited, expressive and disruptive artists. If you haven’t seen it yet, JR’s TED talk is a great way to start understanding something of what drives the artist.